Prairie Perfect in Commerce, Texas. This is your chance to own a piece of history. The year is 1906. Theodore Roosevelt was president of the United States and Texas was celebrating just over 20 years of statehood. Over in Commerce, Texas, a quick drive from the heart of downtown Dallas, the estate at 2113 Mangum Street was just built. The historical charm starts with the designated placard telling the story behind the home—and Aggie fans will love it. 2113 Mangum Street was the home of John Thomas Knight, best known for helping bring May College (which was later renamed Texas A&M University – Commerce) from Cooper, Texas. On this land, he farmed cattle and cotton, as well as raised his family. Design buffs will love the front staircase—all three of them—and the view you get while walking in through the elevated front porch and wrought iron-and-glass front door. You’ll be delighted to find the original hardwood flooring throughout the house, including the bonus 10-inch baseboards and window trims. The dual family rooms and beautifully detailed dining room with mantled fireplace on the first floor give you plenty of space to entertain indoors. On a beautiful day, this home is far from lacking in outdoor lounging space, whether you’re looking to kick up your feet on the covered veranda or sip lemonade on the front porch. On top of that much-loved Sonic-style ice machine, other modern amenities include the dreamy, open kitchen fully outfitted with granite countertops, a large breakfast bar, and stainless steel appliances; the elevator finished out in stained wood that matches the floors; and carefully planned master walk in closet. The master bathroom is certainly worthy of the designation of “spa” thanks to the clawfoot tub, double shower, and custom vanity. And for those who are not simply drawn to the prairie charm of this home—but also the lifestyle—the acred lot boasts a 1,000 square foot insulated workshop that’d be ideal for crafting, restoring a vehicle, or storing equine equipment for the attached stables. Moving into 2113 Mangum Street will not only take you back in history—you’ll also own a piece of it. Dee has been Ebby Halliday’s Company-Wide Top Individual Producer since 2009 and Rockwall’s Top Individual Producer since 2005. She has consistently listed and sold the most properties for Ebby Hallida. Dee is in the exclusive one percent of National Top Producers, D Magazine’s Best Agent & Top Producer since 2011 and has received the Five Star Real Estate Agent award since 2010. 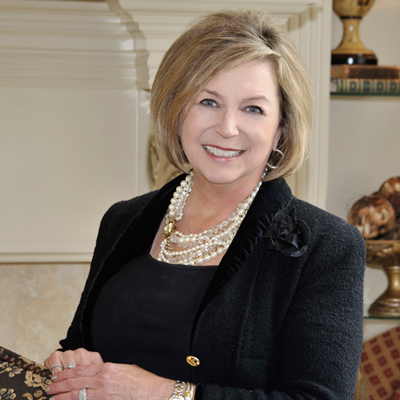 She has been a recipient of the prestigious Ebby Halliday VIP Excellence in Customer Service award company-wide since 2013 and for the Rockwall office since 2013.